By now, you’ve likely heard of Cameron’s Golden Thread – the Prime Minister’s signature phrase in discussions about global development. But do you know what it means? 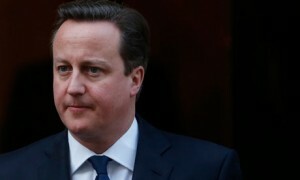 Critics are claiming that Cameron himself has not been clear about its meaning and the International Development Committee (IDC) has recently called upon the Prime Minister to clarify his definition of the term. The transcript below is from a recent appearance by David Cameron in front of the IDC, which might to begin to illuminate his definition(s) of the phrase. Does it cast any clarity on the situation? You be the judge and leave your comments below. What would the UKFIET constituency want to ask Cameron about his Golden Thread, given the chance? Thanks go to Rob Whitby of DFID for passing along this exerpt from the transcript. Get the full version on the Parliamentary website. Q77 Sir Malcolm Bruce: Prime Minister, you are co-chair of the high-level panel on the post-2015 development agenda. The first full meeting has taken place in London; I think that the next one is in Indonesia. Mr Cameron: The next one is in Monrovia, actually. Sir Malcolm Bruce: Oh, it’s in Monrovia-right. The one after that must be in Indonesia. The point is that you have said that you think that the objective we should be looking for post 2015 is the elimination of absolute poverty. Can I clarify that you do take that view? Q78 Sir Malcolm Bruce: First, do you think you will be able to persuade other members of the panel of that? Can you both define what you mean by the abolition of absolute poverty and say when it might be achieved, given that at the moment we talk about a dollar and a quarter or a dollar and a half? Clearly it needs to be more than that, and clearly it needs to be more than about just money if it means what it means. Poverty isn’t just about money; it’s actually having access as well. Mr Cameron: First of all, I think that the strength of the MDGs was that they were relatively simple, straightforward, measurable things that people could get a hold of, and the idea of halving-as they did-the number of people whose income was less than a dollar a day was something that you could check up and ask, “Well, how have we done?” Actually, the great thing is that that has been achieved before 2015. So the idea of trying to eliminate absolute poverty in a generation is something that I think is achievable. Under the last set of goals, we made a big step towards it. I would argue that, for this particular goal, you probably do need to stick to a monetary target, because otherwise it will be rather difficult to measure. And while, of course, this is all imperfect, the measure of $1.25 a day is now the accepted measure of what is sort of the absolute poverty line. Q79 Sir Malcolm Bruce: Obviously, it is dramatic that you’re saying that we can effectively make history poverty within a generation, but you have also highlighted the importance of what you call the “golden thread” of governance-related issues. You have actually defined them differently on different occasions, I notice. On one occasion it was “access to markets, property rights, private sector investment”, and in New York in March 2012, it was “stable government, lack of corruption, human rights, the rule of law, transparent information”. Q80 Sir Malcolm Bruce: The point is that people are saying that they are fine, in themselves, but they are rather selective. Indeed, some people are suggesting-and I don’t think that is the intention-that if they are not ideological, they kind of lean in one direction. Do you accept that there is maybe scope for defining them, and indeed possibly improving them in order to get real support? Sir Malcolm Bruce: I didn’t say it was, but some people are suggesting that. Mr Cameron: I will take the opportunity to reject it anyway, on the basis that if we look at poverty in our world, we have clearly got some countries that are being very effective in taking people out of poverty as their economy grows, but we’ve got some countries where we’ve got really entrenched poverty and where not much progress is being made, and my argument would be that that is because of a complete lack of a golden thread. There is war, corruption, corrupt government, no existence of markets, no ability to have any right of ownership of anything, no ability to get your produce to market and no ability to improve your life. I think there is a golden thread that links all those things: the absence of war, the absence of corruption, the presence of the rule of law, decent government and markets that work. Those things, which we take for granted here, by and large, just simply don’t exist in some of these countries, so it seems to me that when we write the next set of millennium development goals, or whatever we are going to call them, if we just look at absolute poverty, the number of people in school, maternal health-these very, very important things-we are missing a big part of the picture, which is those things that really help countries and people to go from poverty to wealth. When you ask people in some of the poorest countries, “What do you most want in the world?”, you are expecting to hear, and you often hear, “A meal; a job,” but you also hear, “I want some justice. I want an end to this corruption I am having to deal with.” People feel that very, very strongly, and I think we will fail unless we try and reflect some of that in the work we do. Q81 Sir Malcolm Bruce: The point that people are making is that you are describing a situation when you have achieved the right scenario, but not everybody started in that situation. If you are a poor person living in a country that doesn’t have any of those things, for it to be meaningful, you have to say what we should do about it. May I just point to something said by Professor Lawrence Haddad, who is the head of international development studies at Sussex University? He says that he thinks your golden thread has real merit, but he suggests that it would be improved if you also included empowerment, fairness and collectivity. He argues that if you put those together, it would be a much more balanced framework. I think it is important from your point of view, if the golden thread is going to be the Cameron legacy, that it does actually have that broad basis of support. Mr Cameron: I think that that is a very fair point. The guru I am particularly influenced by is Paul Collier, who wrote The Bottom Billion and very good books about tackling poverty in Africa, really focusing on the problems of conflict, corruption and injustice. I will look very carefully at what you say, but I also think that this is good because this is an agenda that is not just rich countries talking to poor countries. This is an agenda that we should be involved in, too. If we have proper transparency in tax and proper transparency in extractive industries, we have to get our own house in order as well as asking countries and Governments in the poorest parts of the world to do the same. So it is right it involves us and them. It is not just about money, and also to all those taxpayers who wonder, “Are we right to meet our goals in terms of aid?”, which I believe we are, I think it demonstrates that we recognise this is not just about money. You will never, as a country, succeed unless you deal with the problems of conflict, injustice and rights. Q82 Sir Malcolm Bruce: So when the work of the high-level panel is complete, will you, David Cameron, continue to champion that cause? Mr Cameron: Yes, I hope that we are going to be able to come up with something that is simple, sellable and that can inspire people. The easiest thing in the world is to sit on one of these UN panels, take the millennium development goals and then produce something incredibly complicated. Frankly, I think that is the danger, because everyone wants to add something into this process-more on the environment, more on sustainability or more on education. You can think of a million things to add. We’ve got to try and find a way of describing a simple set of things. Q83 Sir Malcolm Bruce: Most people can’t remember eight. Don’t add more. Mr Cameron: Well, exactly. That’s the challenge, but that will be tough. Chair: Prime Minister, thank you very much. We think there are issues coming up that would make it worth getting you to come in early in the new year. Before I close the meeting, I would just like to place on record that this is the last meeting at which Kevin Candy, a member of our team, will be assisting us. He has done a great deal of the organisation for these sessions, so we would like to thank him for all his work for the Committee. Chair: And thank you, Prime Minister.